Following the release of Chrome 32 for Windows, Mac, and Linux yesterday, Google today launched Chrome 32 for Android and iOS. The new version is rolling out “over the next few days” via Google Play and Apple’s App Store. Chrome for Android and iOS have both finally received the long-reported data compression feature. 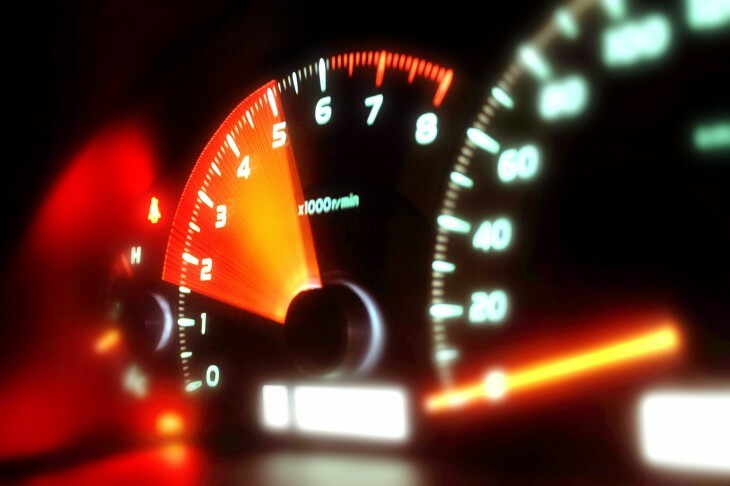 If you haven’t heard of it yet, the Google service is meant to help you save bandwidth, load pages faster, and browse more securely (since sites go through Google’s servers, the company checks for malicious webpages) on your phone and tablet by optimizing the pages you visit. Google hopes that by reducing data usage, Chrome users will be able to save money on their mobile plan. The company claims the service can reduce data usage by up to 50 percent while browsing the Web. To turn the feature on, go to Settings, Bandwidth management , and then choose “Reduce data usage.” Turn the toggle to “On” and come back whenever you want to see how much bandwidth you save each month as you browse. 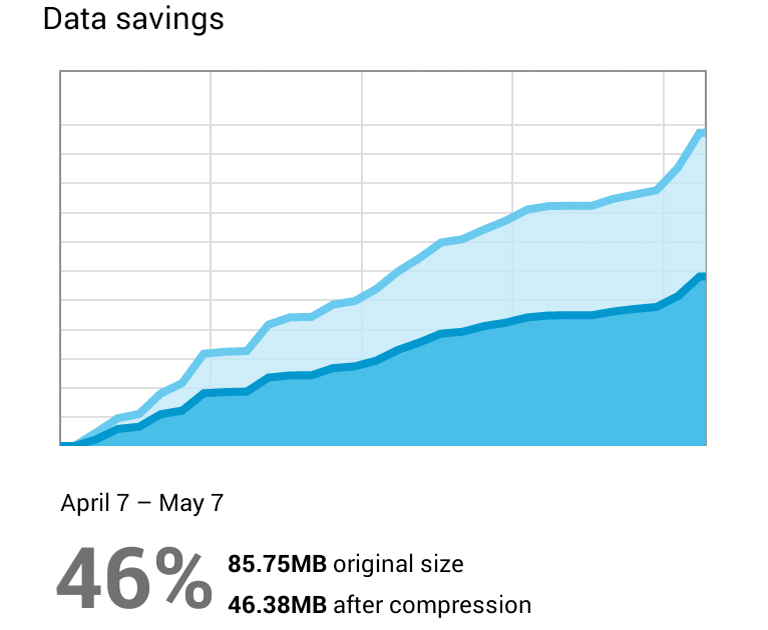 Google’s data compression first showed up in Chromium back in March 2013 and then soon after made an appearance in Chrome 26 beta for Android. The feature finally arrived for iOS users as part of Chrome 28 in July. At the time, we expected the feature to be flipped on for all Android and iOS users just a few days later, but we had to wait a good few months as it’s now 2014. Next up, the Android app has gained support for applications shortcuts. In short, the feature lets users add website shortcuts to their Android homescreen that open in a normal Chrome for Android window. When visiting a site you’d like to save, just tap “Add to homescreen” from the toolbar menu. Then, anytime you’d like to open the saved website, just tap its icon on your homescreen and it will take you straight there. Last but not least, Chrome for iOS has received support for Google Translate. Chrome for Android users have been enjoying this since July, but now Apple users can join in too. The addition means you can now translate webpages in Chrome with the tap of a button on your iPhone and iPad, just as you’re used to on Chrome for desktop. It’s the same built-in translation bar you’re already used to for quickly skimming a Web page you otherwise wouldn’t be able to understand: just hit Translate and the page will morph into your phone or tablet’s native language. 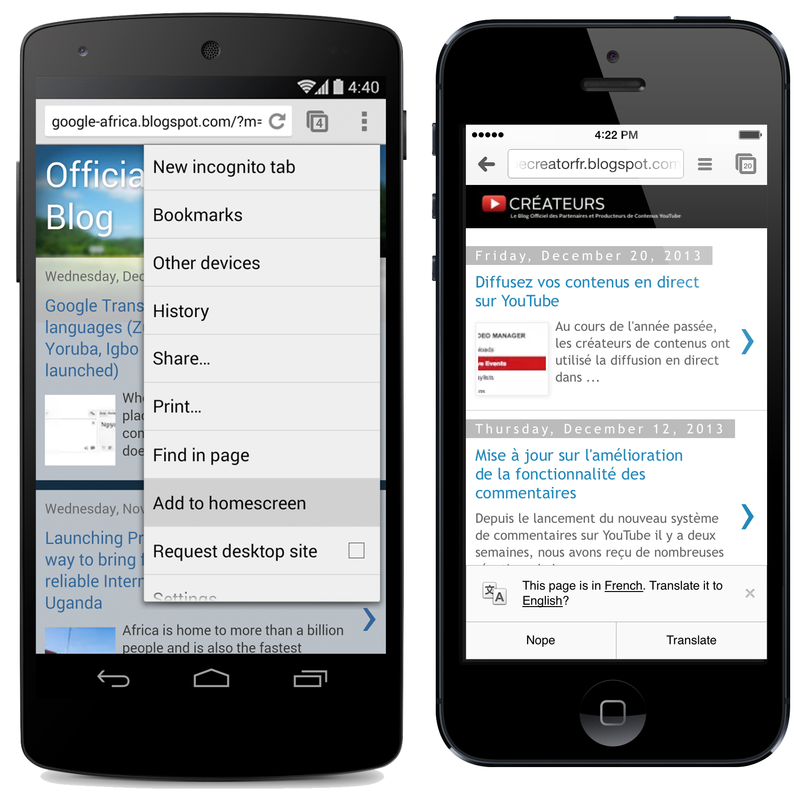 Chrome 32 is a major release both on the desktop and on mobile. The company has a lot of improvements for Chrome’s rendering engine in the pipeline this year and it seems it wanted to get some major features finished before it started tinkering under the hood again.